Are you considering teaching English in Vietnam? I remember well from my own experiences in Hanoi just how daunting the whole process can be. If you’re anything like me, you’ll have a million questions about everything from finding jobs in Vietnam to deciding which city and area to live in, how much money you can earn and what kind of qualifications you need. To help you figure things out, I’ve put together this series of Q&As with teachers currently living in Hanoi, Vietnam. 2018 and 2019 teaching opportunities in Hanoi – the language centre we used to work for in Hanoi is now recruiting teachers for 2018 and 2019. If you’re a native English speaker with a degree and TEFL qualification, contact us now and we can put you in touch with the director for an interview. In my first interview post, which you can read here, I spoke to teachers Emma and Loes about their experiences. 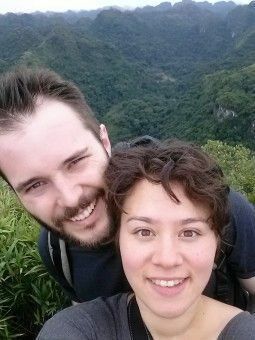 Today, I’m chatting with Melissa, who lives in Hanoi with her boyfriend Geoff and teaches English at a well-known language centre. Where are you from and how long have you been teaching in Vietnam? 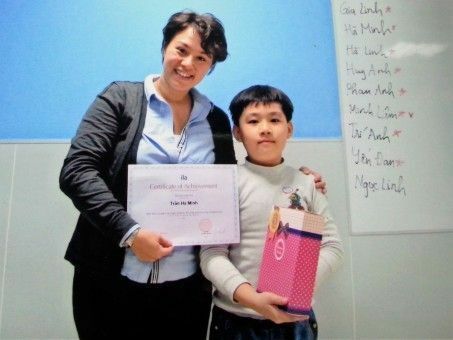 I’m from Canada and I’ve been teaching in Hanoi for three months. 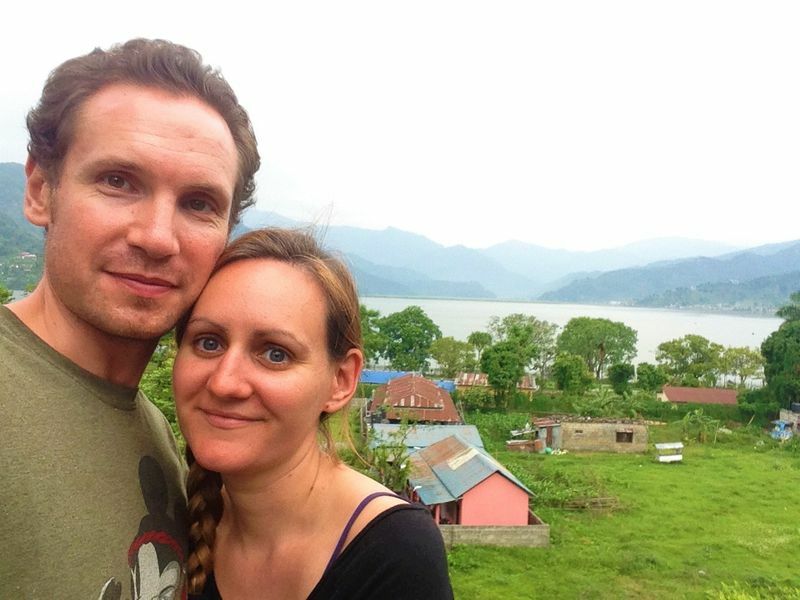 Why did you choose to move to Hanoi, Vietnam, to teach? I chose Hanoi for several reasons. I personally was more interested in experiencing South-East Asia over East Asia (China, Korea, etc.) so I only looked at countries there. Hanoi is a small city, for SE Asia, and feels very authentic. I was very interested in exploring the history, culture, and nature of Vietnam, of which Hanoi and the surrounding area has a lot. The salary I was offered in Vietnam is also quite high compared to the cost of living, which can be extremely low. Did you have any teaching qualifications or experience before arriving? I did CELTA at home the summer before I arrived in Vietnam. I had experience teaching at a university, but never with children. Who do you work for and how did you find a job in Vietnam? I work for ILA Vietnam, a private language company. I found the job posting on a Vietnamese website (The New Hanoian) and applied while still in Canada. Who do you teach, and where? I teach at a private language centre. The school has students of all ages and levels, and I have a mixture of young children, teenagers, and adults. Classes average between 7-15 students. Because I work at a private school classes are in the evening and on the weekend. I work five days a week, with two days off. I am lucky to have two consecutive days off (this is not a guarantee with ILA). I am a full-time teacher, which means working a minimum of 18 contact hours per week. This does not include prep or admin time, which you are free to do whenever you want, but is unpaid. In total I work approximately 25 hours per week. How much money do you earn each month from teaching in Vietnam? I earn about $1300 USD per month, before tax, for 72 teaching hours per month. Vietnam taxes at 10% if you work in the country for at least half a year. How have you dealt with visas and work permits? If you are hired as a full-time teacher with ILA, the company will take care of your visas, work permit, and all costs associated with them. If you are a part-time teacher they will help support you with the process, but you pay for it yourself. I have really enjoyed my teaching experiences so far! I enjoy having a variety of classes, and there is a lot of professional development available for you within ILA. Sometimes you are at the whim of the scheduler, but so far I have been able to have some say in regards to my schedule. ILA is very well equipped with teaching and teaching development resources, and has modern technology in the classrooms. It is a company, and at the end of the day the goal is to make money. Sometimes this is frustrating, but so far it hasn’t significantly influenced the teaching environment. One nice thing about working for ILA is that you have enough free time during the day to get out and properly explore the city and surrounding area. If you plan well you could feasibly go on an adventure every day! It has also been quite straightforward to get time off (both paid and unpaid), which makes mini trips a regular occurrence. 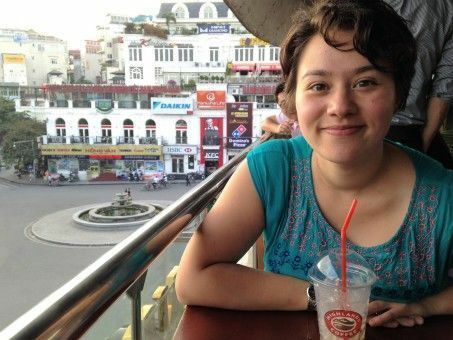 I also have the time for lots of hobbies; I have joined a gym, started French and Vietnamese lessons, and am volunteering with an NGO. How do you get around in Hanoi? I bought a motorbike. I am also going to buy a used bicycle. While I opted for personal transportation, the bus system in Hanoi is quite good and taxis are cheap, so it is not necessary to buy a bike of some kind. What area do you live in and how much does your apartment cost? I live in Truc Bach, on a small island in the Ba Dinh district of Hanoi. It is very centrally located and allows for easy access to both the Vietnamese Old Quarter and expat-centric West Lake. My partner and I pay $500 US per month for a beautiful apartment on the Lake. What are your typical monthly living costs like and have you saved any money while living in Hanoi? What are the best and worst things about teaching and living in Vietnam? Living a comfortable life for only 25 working hours per week. Being able to explore a place with endless history and culture cheaply and easily. The great people, Vietnamese and expat! The opportunities (professional and personal), should you choose to look for and pursue them. Vietnam is still quite corrupt, and though most of the time it works in your favour, every once in a while you might have to pay a bribe just to get something simple done. The air pollution is not great. I wear a pollution mask while driving. There are a lot of scams, for everything. You must be careful when accepting a job, booking trips, buying goods, etc. 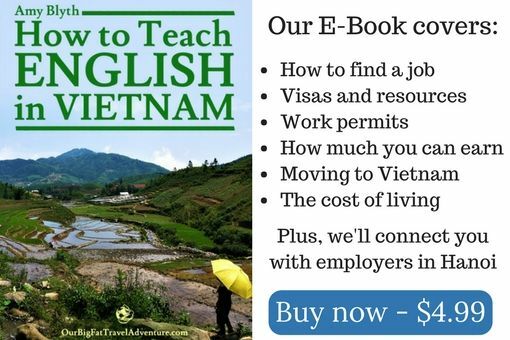 What advice would you give people who are thinking about moving to Vietnam to teach English? It is easy to find work here if you have a degree and some kind of teaching certification. If not, you can still find jobs, but be careful and make sure they are legitimate. I opted for the security of landing a job before I came to Vietnam, but this is not necessary and may in fact be limiting. Show up with you documents (originals! Vietnam is picky! ), pound the pavement, and you’ll do just fine. Pretty much everyone who comes here will be completely overwhelmed for the first little while, but it does get easier and it is a fascinating and exciting place to call home! If you are at all interested in teaching in Vietnam, go for it. It is a wild ride. Want to teach in Vietnam? Would you love to teach in Vietnam but feel too overwhelmed to take the leap? Then we’d recommend contacting Teacher’s Friend Vietnam. This small, independent company is run by real teachers who have actually lived and worked in the country. Georgie and her team will help you find jobs with reputable schools that will provide you with a work permit, excellent resources, ongoing training and a great salary. They’ll also help you find an apartment, get a visa, find a motorbike, meet other like-minded people and offer support throughout your time in Vietnam. Teacher’s Friend offers packages for teaching in Hanoi, HCMC and smaller cities and the countryside. If you’re interested and are a native English speaker with a Bachelor’s degree, clean police check and a practical TEFL certification of at least 120 hours (or are willing to obtain one), contact Teacher’s Friend to get started. Georgie is kindly offering our readers a 10% discount on packages, just use the code TFV01 when you contact them. 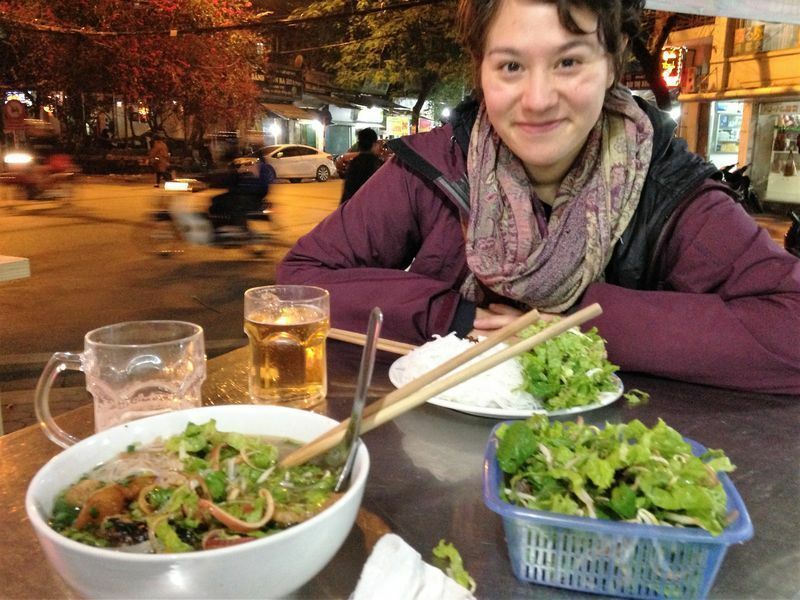 What’s it Actually like to Teach in Vietnam? How Much Money can you Earn from Teaching in Vietnam? Hi Louisa, that’s really interesting and I’m sure working in those regions would be an amazing experience. 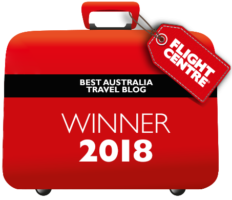 We did once meet a nurse who lived in New Zealand but went to Oz for a few months a time to work in the outback as she could make a lot more money there.